 Jeunesse is a proud member of the Direct Selling Association (DSA). 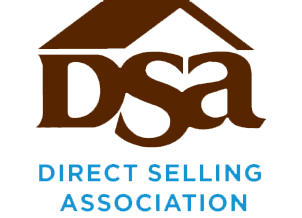 The DSA is an organization committed to the highest ethical business standards for the direct selling channel and to the customers their member companies serve every day. 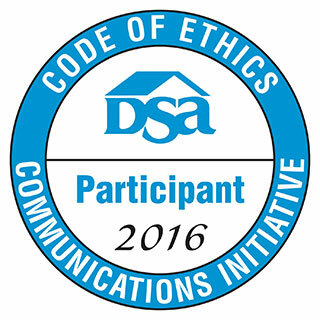 Their Code of Ethics is a robust series of policies that every DSA member agrees to follow as condition of membership. Being a member of the DSA ensures accountability to policies that protect independent salespeople and consumers and encourages the entire marketplace for direct selling to meet these high standards. Please do not hesitate to contact us if you have any questions regarding the DSA Code of Ethics. If you feel that Jeunesse, or an Independent Distributor of Jeunesse, has failed to meet these requirements, please send your concerns to [email protected] and you will be contacted shortly by our appointed DSA Code Responsibility Officer. If you are unsatisfied with the resolution provided, you may file your complaint with the DSA. Visit the DSA web site to file a code complaint. No member company or independent salesperson for a member company shall engage in any deceptive, false, unethical or unlawful consumer or recruiting practice. Member companies shall ensure that no statements, promises or testimonials are made that are likely to mislead consumers or prospective independent salespeople. Member companies and their independent salespeople must comply with all requirements of law. While this Code does not restate all legal obligations, compliance with all pertinent laws by member companies and their independent salespeople is a condition of acceptance by and continuing membership in DSA. Member companies shall conduct their activities toward other member companies in compliance with this Code and all pertinent laws. Information provided by member companies and their independent salespeople to prospective or current independent salespeople concerning the opportunity and related rights and obligations shall be accurate and complete. Member companies and their independent salespeople shall not make any factual representation to prospective independent salespeople that cannot be verified or make any promise that cannot be fulfilled. Member companies and their independent salespeople shall not present any selling opportunity to any prospective independent salesperson in a false, deceptive or misleading manner. Member companies and their independent salespeople shall not induce a person to purchase products or services based upon the representation that a consumer can recover all or part of the purchase price by referring other consumers, if such reductions or recovery are violative of applicable referral sales laws. Member companies shall provide to their independent salespeople either a written agreement to be signed by both the member company and the independent salesperson, or a written statement containing the essential details of the relationship between the independent salesperson and the member company. Member companies shall inform their independent salespeople of their legal obligations, including their responsibility to handle any applicable licenses, registrations and taxes. Member companies shall provide their independent salespeople with periodic accounts including, as applicable, sales, purchases, details of earnings, commissions, bonuses, discounts, deliveries, cancellations and other relevant data, in accordance with the member company’s arrangement with the independent salesperson. All monies due shall be paid and any withholdings made in a commercially reasonable manner. Independent salespeople shall respect any lack of commercial experience of consumers. Independent salespeople shall not abuse the trust of individual consumers, or exploit a consumer’s age, illness, handicap, lack of understanding or unfamiliarity with a language. The offer of products or services for sale by member companies and their independent salespeople shall be accurate and truthful as to price, grade, quality, make, value, performance, quantity, currency of model and availability. All product claims made by member companies and their independent salespeople must be substantiated by competent and reliable evidence and must not be misleading. A consumer’s order for products and services shall be fulfilled in a timely manner. Neither member companies nor their independent salespeople shall make misleading comparisons of another company’s direct selling opportunity, products or services. Any comparison must be based on facts that can be objectively and adequately substantiated by competent and reliable evidence. Neither member companies nor their independent salespeople shall denigrate any other member company, business, product or service – directly or by implication – in a false or misleading manner and shall not take unfair advantage of the goodwill attached to the trade name and symbol of any company, business, product or service. Promotional literature, advertisements and mailings shall not contain product descriptions, claims, photos or illustrations that are false, deceptive or misleading. (Promotional literature shall contain the name and address or telephone number of the member company and may include the telephone number of the individual independent salesperson). Independent salespeople shall offer consumers accurate information regarding: price, credit terms; terms of payment; a cooling-off period, including return policies; terms of guarantee; after-sales service; and delivery dates. Independent salespeople shall give understandable and accurate answers to questions from consumers. To the extent claims are made with respect to products, independent salespeople shall make only those product claims authorized by the member company. Member companies and their salespeople shall offer a written, clearly stated cooling off period permitting the consumer to withdraw from a purchase order within a minimum of three business days from the date of the purchase transaction and receive a full refund of the purchase price. Member companies and their independent salespeople offering a right of return, whether or not conditioned upon certain events, shall provide it in writing. At the beginning of sales presentations independent salespeople shall truthfully and clearly identify themselves, their company, the nature of their company’s products or services, and the reason for the solicitation. Contact with the consumer shall be made in a polite manner and during reasonable hours. A demonstration or sales presentation shall stop upon the consumer’s request. Member companies and independent salespeople shall take appropriate steps to safeguard the protection of all private information provided by a consumer, independent salesperson or prospective independent salesperson. Any member company with a marketing plan that involves selling products directly or indirectly to independent salespeople shall adopt and communicate a policy, in its recruiting literature, sales manual, or contract with an independent salesperson, that the company will repurchase on reasonable commercial terms currently marketable inventory, in the possession of that salesperson and purchased by that salesperson for resale prior to the date of termination of the independent salesperson’s business relationship with the company. For purposes of this Code, “reasonable commercial terms” shall include the repurchase of marketable inventory within twelve (12) months from the salesperson’s date of purchase at not less than 90 percent of the salesperson’s original net cost less appropriate set offs and legal claims, if any. For purposes of this Code, products shall not be considered “currently marketable” if returned for repurchase after the products’ commercially reasonable usable or shelf life period has passed; nor shall products be considered “currently marketable” if the company clearly discloses to salespeople prior to purchase that the products are seasonal, discontinued, or special promotion products and are not subject to the repurchase obligation. Any member company with a marketing plan that requires independent salespeople to purchase company-produced promotional materials, sales aids or kits shall adopt and communicate a policy in its recruiting literature, sales manual or contract with the independent salespeople that the member company will repurchase these items on reasonable commercial terms. Any member company with a marketing plan that provides its independent salespeople with any financial benefit related to the sales of company-produced promotional materials, sales aids or kits shall prominently state and communicate in its recruiting literature, sales manual or contract with the independent salespeople that the member company will repurchase, on reasonable commercial terms, currently marketable company-produced promotional materials, sales aids or kits. A member company shall clearly state in its recruiting literature, sales manual or contract with the independent salespeople if any items not otherwise covered by this Section are ineligible for repurchase by the member company. The DSA Code Administrator appointed pursuant to Section C.1, upon finding a member company has engaged in false, misleading or deceptive recruiting practices, may employ any appropriate remedy to ensure any complainant shall not incur significant financial loss as a result of such prohibited behavior, including but not limited to requiring such member company to repurchase any and all inventory, promotional materials, sales aids and/or kits which a complainant has purchased. 7a. The purpose of the buyback is to eliminate the potential harm of “inventory loading;” i.e., the practice of loading up salespeople with inventory they are unable or unlikely to be able to sell or use within a reasonable time period. Inventory loading has historically been accomplished by giving sellers financial incentives for sales without regard to ultimate sales to or use by actual consumers. The repurchase provisions of the Code are meant to deter inventory loading and to protect distributors from financial harm that might result from inventory loading. Changes in marketplace demand, product formulation, or labeling are not sufficient grounds for a claim by the company that a product is no longer “marketable.” Nor does the ingestible nature of certain products limit the current marketability of those products. Government regulation that may arguably restrict or limit the ultimate resalability of a product does not limit its “current marketability” for purposes of the Code. State statutes mandate that certain buyback provisions required by law must be described in an independent salesperson’s contract. While acknowledging that the contract is probably the most effective place for such information, the DSA Code allows for placement of the provision in either “its recruiting literature, sales manual or contract.” Regardless, the disclosure must be in writing and be clearly stated. Wherever disclosed, the buyback requirement shall be construed as a contractual obligation of the company. A member company shall not place any unreasonable or procedural impediments in the way of salespeople seeking to sell back products to the member company. The buyback process should be as efficient as possible and designed to facilitate buyback of products. The buyback provisions apply to all terminating independent salespeople who otherwise qualify for such repurchase, including independent salespeople who are not new to a particular company, or those who have left a company to sell for another company. The buyback policy should be published in multiple locations and formats, and stated in a manner understood easily by a typical independent salesperson. It should be the goal of each member company to ensure that the typical independent salesperson is aware of the company’s buyback policy. Therefore, each member company should undertake its best efforts to ensure the effective communication of the policy. With respect to the final paragraph of Section 7b., disclosure of an item’s eligibility or ineligibility for the buyback is key. Provided that repurchase is not required by this Code provision, for those items a member company chooses not to repurchase, the member company should clearly and conspicuously disclose to the independent salesperson or prospective independent salesperson that the items are not subject to the repurchase requirement. Under such disclosure, a refusal to take an item back will not constitute a violation providing the member is acting in good faith and not attempting to evade the repurchase requirement. This Code provision is not intended to endorse marketing plans that provide financial benefits to independent salespeople for the sale of company-produced promotional materials, sales aids or kits (“tools”). While these materials can be important to individual sellers, the Code requires that member companies remunerate independent salespeople primarily on the basis of sales of products, including services, purchased by any person for actual use and consumption (See Code Section 6 and accompanying explanatory provision) and not on the sale of tools. In instances when some financial benefit is provided to an individual independent salesperson based on the sale of company-produced promotional materials, sales aids or kits, and is not otherwise in violation of the Code, this Section requires that the tools be repurchased under commercially reasonable terms. Gross or net income or profits, including but not limited to representations that either explicitly or implicitly suggest that lifestyle purchases – including homes, vehicles, vacations and the like – are related to income earned. Any award or announcement of compensation describing the earnings of any current or past salesperson. A company’s sales incentive awards, trips or meetings, and/or commissions, overrides, bonuses or other compensation, shall not be considered earnings representations unless they are accompanied by express indication of their value. Earnings representations and sales figures must be truthful, accurate, and presented in a manner that is not false, deceptive or misleading. Such amounts are before expenses, if any. Current and prospective independent salespeople must be provided with sufficient information to enable a reasonable evaluation of the opportunity to earn income. If a specific independent salesperson’s commission or bonus payments are included in an earnings representation, any distributions made for those payments to others in the sales organization must be disclosed or deducted from the figure(s) used. Any sales and earnings representations must be documented and substantiated. Member companies and their independent salespeople must maintain such documentation and substantiation, making it available to the Administrator upon written request. Industry-wide – including DSA-produced – financial, earnings or performance information cannot be used as the primary source in documenting or substantiating a member company’s or independent salesperson’s representations. Such information can, however, be used in a general manner. In assessing whether an earnings representation violates this section of the Code, the Administrator shall consider all relevant facts and information, including but not limited to the factors outlined in this section. 8. There is ample legal precedent in the form of FTC decisions to afford guidance on the subject of earnings representations. While not controlling, these precedents should be used by the Administrator in making determinations as to the substantiation of a member company’s earnings claims. The Code’s simple prohibition of misrepresentations was intended, in part, to avoid unduly encumbering start-up member companies that have little or no actual earnings history with their compensation plan or established member companies that are testing or launching new compensation plans. The prohibition approach is meant to require that member companies in these circumstances need only ensure that their promotional literature and public statements clearly indicate that the compensation plan is new and that any charts, illustrations and stated examples of income under the plan are potential in nature and not based upon the actual performance of any individual(s). A member company shall not require or encourage an independent salesperson to purchase inventory in an amount which unreasonably exceeds that which can be expected to be resold and/or consumed by the independent salesperson within a reasonable period of time. Member companies shall take clear and reasonable steps to ensure that independent salespeople are consuming, using or reselling the products and services purchased.  It shall be considered an unfair and deceptive recruiting practice for a member company or independent salesperson to require or encourage an independent salesperson to purchase unreasonable amounts of inventory or sales aids. The Administrator may employ any appropriate remedy to ensure any individual salesperson shall not incur significant financial loss as a result of such prohibited behavior. 9. See, Code Explanatory Section 7a. regarding inventory loading. This provision should be construed in light of the regulatory admonition that commissions be generated by purchases that are not simply incidental to the purchase of the right to participate in the program (see Federal Trade Commission 2004 Advisory Opinion Letter to DSA.) Member companies that implement procedures demonstrating that salespeople are purchasing the product for resale, for their own use/ consumption (i.e., “self-consumption,” “personal consumption” or internal consumption”) or for other legitimate purposes will be better able to meet the requirements of Section 9. The Code recognizes this as a long-standing and accepted practice in direct selling and does not prohibit compensation based on the purchases of salespeople for personal use. Member companies shall provide adequate training to enable independent salespeople to operate ethically. Member companies shall prohibit their independent salespeople from marketing or requiring the purchase by others of any materials that are inconsistent with the member company’s policies and procedures. Member companies shall take diligent, reasonable steps to ensure that promotional or training materials produced by their independent salespeople comply with the provisions of this Code and are not false, misleading or deceptive. Member companies shall establish, publicize and implement complaint handling procedures to ensure prompt resolution of all complaints. In the event any consumer shall complain that the independent salesperson offering for sale the products or services of a member company has engaged in any improper course of conduct pertaining to the sales presentation of its goods or services, the member company shall promptly investigate the complaint and shall take such steps as it may find appropriate and necessary under the circumstances to cause the redress of any wrongs that its investigation discloses to have been committed. Member companies will be considered responsible for Code violations by their independent salespeople where the Administrator finds, after considering all the facts, that a violation of the Code has occurred. For the purposes of this Code, in the interest of fostering consumer protection, member companies shall voluntarily not raise the independent contractor status of salespersons distributing their products or services under its trademark or trade name as a defense against Code violation allegations, provided, however, that such action shall not be construed to be a waiver of the member companies’ right to raise such defense under any other circumstance. Member companies should be diligent in creating awareness among their employees and/or the independent salespeople marketing the member company’s products or services about the member company’s obligations under the Code. No member company shall in any way attempt to persuade, induce or coerce another company to breach this Code, and an attempt to induce a breach of this Code is considered a violation of the Code. Independent salespeople are not bound directly by this Code, but as a condition of participation in a member company’s distribution system, shall be required by the member company with whom they are affiliated to adhere to rules of conduct meeting the standards of this Code. This Code is not law but its obligations require a level of ethical behavior from member companies and independent salespeople that is consistent with applicable legal requirements. Failure to comply with this Code does not create any civil law responsibility or liability. When a company leaves the DSA membership, a company is no longer bound by this Code. However, the provisions of this Code remain applicable to events or transactions that occurred during the time a company was a member of DSA. All member companies are required to publicize the DSA Code of Ethics and the process for filing a Code complaint to their independent salespeople and consumers. At a minimum, member companies must have one of the following: 1. an inclusion on the member company’s web site of the DSA Code of Ethics with a step-by-step explanation as to how to file a complaint; or 2. a prominent link from the member company’s web site to the DSA Code of Ethics web page, with a separate mention of, or separate link to, the Code complaint filing process; or 3. an inclusion of the member company’s Code of Ethics and its complaint process on its website with an explanation of how a complainant may appeal to the Administrator in the event the complainant is not satisfied with the resolution under the member company’s Code of Ethics or complaint process, with a reference to the DSA Code of Ethics web page. All member companies, after submission of their program, are required to state annually, along with paying their dues, that the program remains effective or indicate any change. 2a. The links should be clear and conspicuous. The location of the link on the member company’s website should be prominent so as to be accessible and visible to sales people and the consumer; member companies should place the link on a web page that is commonly accessed by salespeople and consumers. Inclusion of statements, such as, “We are proud members of the DSA. To view the Code of Ethics by which we abide please click here,” and “To file a complaint, please contact us at [company email and/or phone number]. If you are unsatisfied with the resolution, you may escalate your complaint to the DSA by clicking here,” are also ideal. Member companies should specifically link to either www.dsa.org/consumerprotection/Code and www.dsa.org/consumerprotection/filing-a-code-complaint. The Board of Directors of the DSA shall appoint a Code Administrator (“Administrator”) to serve for a fixed term to be set by the Board prior to appointment. The Board shall have the authority to discharge the Administrator for cause only. The Board shall provide sufficient authority to enable the Administrator to properly discharge the responsibilities entrusted to the Administrator under this Code. The Administrator will be responsible directly and solely to the Board. The Administrator shall be a person of recognized integrity, knowledgeable about the industry, and of a stature that will command respect by the industry and from the public. He or she shall appoint a staff adequate and competent to assist in the discharge of the Administrator’s duties. During the term of office, neither the Administrator nor any member of the staff shall be an officer, director, employee, or substantial stockholder in any member of the DSA. The Administrator shall disclose all holdings of stock in any member company prior to appointment and shall also disclose any subsequent purchases of such stock to the Board of Directors. The Administrator shall have the same rights of indemnification as the Directors and Officers have under the bylaws of the DSA. The Administrator shall establish, publish and implement transparent complaint handling procedures to ensure prompt resolution of all complaints. The Administrator shall review and determine all charges against member companies, affording those companies an opportunity to be heard fully. The Administrator shall have the power to originate any proceedings and shall at all times have the full cooperation of all member companies. The Administrator shall have the sole authority to determine whether a violation of the Code has occurred. The Administrator shall answer as promptly as possible all queries relating to the Code and its application, and, when appropriate, may suggest, for consideration by the Board of Directors, Code amendments, or other implementation procedures to make the Code more effective. If, in the judgment of the Administrator, a complaint is beyond the Administrator’s scope of expertise or resources, the Administrator may decline to exercise jurisdiction over the complaint and may recommend to the complainant another forum in which the complaint can be addressed. The Administrator shall undertake to maintain and improve all relations with better business bureaus and other organizations, both private and public, with a view toward improving the industry’s relations with the public and receiving information from such organizations relating to the industry’s sales activities. The Administrator shall conduct a preliminary investigation, making such investigative contacts as are necessary to reach an informed decision as to the alleged Code violation. If the Administrator determines, after the informal investigation, that there is no need for further action or that the Code violation allegation lacks merit, the investigation and administrative action shall terminate and the complaining party shall be so notified. The Administrator may, at his discretion, remedy an alleged Code violation through informal, oral and written communication with the accused member company. If the Administrator determines that there are violations of such a nature, scope or frequency that the best interests of consumers, the DSA, and/or the direct selling industry require remedial action, the member company shall be notified. The reasoning and facts that resulted in the decision as well as the nature of the remedy under Section E.1. shall be included in the Administrator’s notice. The notice shall also offer the member company an opportunity to consent to the suggested without the necessity of a Section D.4. appeal. If the member company desires to dispose of the matter in this manner, it will within 20 calendar days advise the Administrator, in writing. The letter to the Administrator may state that the member company’s willingness to consent does not constitute an admission or belief that the Code has been violated. If a member company has submitted a request for review pursuant to Section D.2. or an appeal of the Administrator’s remedial action pursuant to Section D.3., an Appeals Review Panel consisting of three representatives from active member companies shall be selected by the Executive Committee of DSA’s Board of Directors within 20 calendar days. The three member companies shall be selected in a manner that represents a cross-section of the industry. When possible, none of the three shall sell a product that specifically competes with the member company that is seeking the Appeals Review Panel (hereinafter “the Appellant”), and every effort shall be made to avoid conflicts in selecting the Panel. If for any reason, a member of the Panel cannot fulfill his or her duties, the Chairman of the Board of DSA can replace that person with a new appointment. The representatives serving on the Appeals Review Panel shall during their time on the Panel have the same rights of indemnification the Directors and Officers have under the bylaws of the DSA. A member company must make a request to convene an Appeals Review Panel in writing to the Administrator within 20 calendar days of the Administrator’s notice of the member company’s failure to comply or the Administrator’s recommended remedial action. Within 10 calendar days of receiving such a request, the Administrator shall notify the Chairman of the Board of DSA. The Executive Committee then shall select the three-person Panel as set forth in Section D.4. As soon as the Panel has been selected, the Administrator shall inform the Appellant of the names of the panelists. Within 14 calendar days of that notification, the Administrator shall send a copy of the Complaint and all relevant documents, including an explanation of the basis of the decision to impose remedial action, to the panelists with copies to the Appellant. Upon receipt of such information, the Appellant shall have 14 calendar days to file with the Panel its reasons for arguing that remedial action should not be imposed along with any additional documents that are relevant. Copies of that information shall be provided to the Administrator, who can provide additional information as the Administrator decides is necessary or useful to the Panel and the Appellant. Once the information has been received by the panelists from both the Administrator and the Appellant, the Panel will complete its review within 30 calendar days or as soon thereafter as practicable. If the review pertains to whether the Appellant’s membership in the DSA should be terminated, the Panel shall decide whether the member company’s failure to work with the Administrator justifies suspending or terminating the Appellant’s membership in the DSA. If the review pertains to the Administrator’s suggested remedial action, the Panel shall decide whether the Administrator’s decision to impose remedial action was reasonable under all of the facts and circumstances involved and shall either confirm the Administrator’s decision, overrule it, or impose a lesser sanction under Section E. The Panel shall be free to contact the Administrator, the Appellant, and any other persons who may be relevant, in writing as deemed appropriate. A decision by the Panel shall be final and shall be promptly communicated both to the Administrator and the Appellant. The costs involved in the appeal such as costs of photocopying, telephone, fax, and mailing, shall be borne by the Appellant. Cancellation of orders, return of products purchased, cancellation or termination of the contractual relationship with the independent salesperson or other remedies.